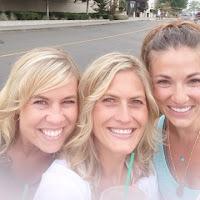 I had a lot of ideas for today's "Friday Favorites" post, but thought it was about time that I talked to you about a newish favorite of mine--doTERRA oils. Let me start by telling you that I was a HUGE skeptic of these! I thought they were a fad, I thought they were a fraud and I thought they were expensive. Boy was I wrong. I bought a small intro kit with three oils (lavender, peppermint and lemon), from a friend of mine last spring. I hardly ever used it, and as a result, they mostly sat in a cabinet, collecting dust. See, I was a skeptic. I tried a few drops of lemon in my water and liked that, but certainly couldn't figure out how flavored water would be worth the cost. And then I got invited to an oil class at my neighbor's house, and that's when things changed. 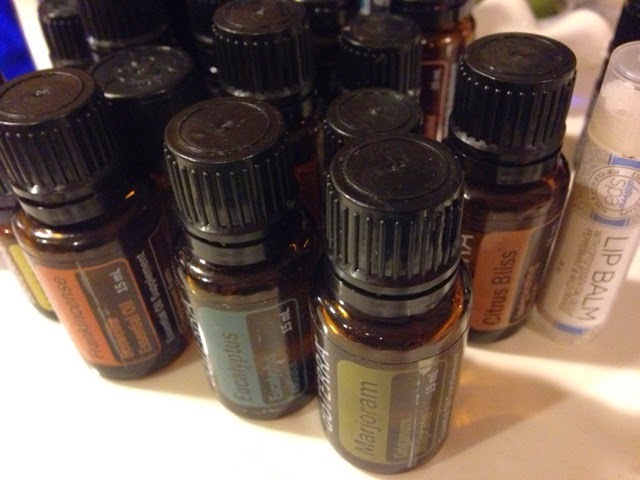 I learned so much more and felt empowered to use these oils on a regular basis. I learned different techniques, and I really loved putting together rollers for specific ailments. I felt like I had the knowledge to use them appropriately and you know what, they started making a difference for our family. Ask anyone who knows me well, I am not a medicine person. I hardly ever give my kids medicine and I almost never take it (remember, I'm one of those crazy natural childbirth women, too?!). This was a perfect alternative to synthetic drugs and I didn't feel like I was harming my kids. Since taking that class, I've hosted one at my house and am now starting to learn more about the teaching side. That's how great they've been!! I want to share this with the world! It's very important to remember that oils are potent and need to be treated with care, but when used correctly, they can make signigicant improvements/changes in your life. Even my husband is on board! I'm serious, when someone gets sick or hurt, the very first thing that will come out of his mouth, "what oil should we use?" He gets it. Even Brylie, at 19 months, will request oils before nap and bed. She knows how to use the rollers and carefully rolls them on the bottom of her feet and her wrists. It's the cutest. 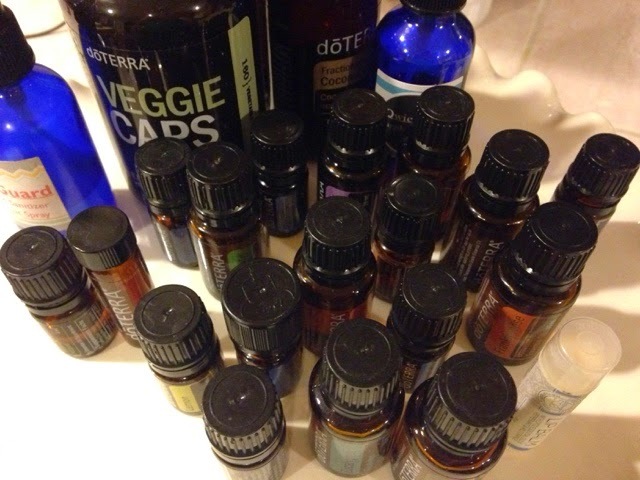 Oils have become such a signicificant part of our life that we use them without even thinking. Tonight, Brett had a headache (I don't think he's ever had a headache before, so this was something new to him), so I treated it by rubbing Past Tense on his forehead and temples. Within 15 minutes, he said he was feeling significantly better and was back to wrestling his brother. Even the kids are on board!! 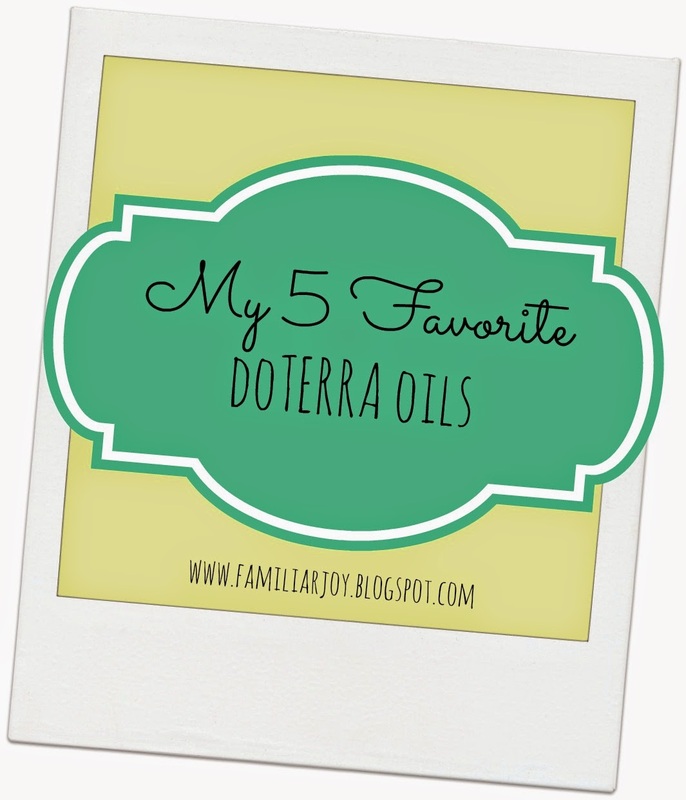 I could probably write pages and pages about these oils, but I don't want to bore you, so I'm going to share my top 5 favorite doTERRA products. I recently purchased the diffuser and I don't know what took me so long! It's almost like a humidifier, but you add 4-6 drops of an oil and it will run for up to 8 hours. It covers 1,000 square feet, so during the day, I keep it in our kitchen/great room area, and at night will move it into the room of whomever is sickest. Right now, Brylie's fighting a little cough/cold, so she gets it! I'm using 4 drops of "Breathe" (which smells amazing) and a few drops of On Guard...a protective blend that keeps the germs from spreading and prevents illness. Without the diffuser in her room, Brylie coughs all night. I'm not kidding, within minutes of her being in a room with Breathe diffusing, the cough 100% disappears. I know it sounds crazy, but you gotta try it! 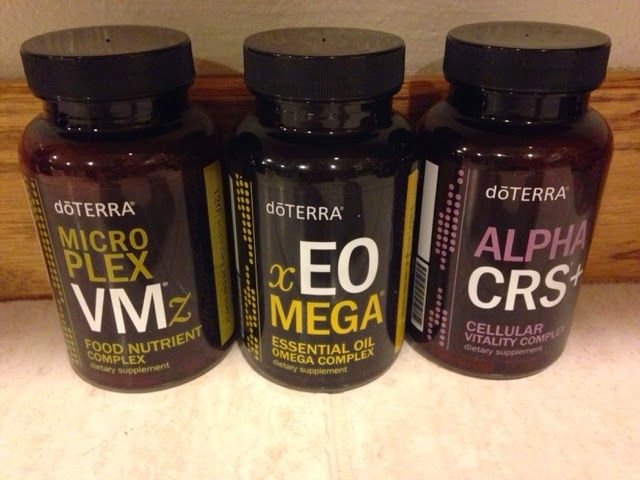 This 3-pack of vitamins has been the most life-changing purchase that I've made from this company. I have more energy, less anxiety, and overall, feel like a better person. Adam made a comment the other day, that he's noticed a change it me and thinks it's related to the vitamins, as well. It's hard to explain how good I feel, but I've been functioning on less sleep than I've ever had, hello, mom to four, but somehow I'm managing to feel good all day!! These tiny little beadlets can be taken each day to help prevent illness. Between Adam and the kids, we've had some sort of a cough/cold going around since December. I'm the ONLY person in the house not to have even a tiny symptom. Not a sneeze, runny nose, cough, nothing. And I'm the only one who is regularly ingesting these beadlets. I'm kissing on my babies and definitely wiping snot....and have managed to avoid all illness, unlike every other winter. I can't think of any other explanation. This is a game changer. If I could recommend a roller for moms, this would be it. I roll it across my mid-section every morning and afternoon and it helps to calm me. My Type A personality tends to stress more than I should. 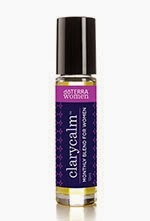 Clary Calm takes the edge off and gives me a clearer, more focused approach. The best way that I can describe it, is the way it feels after you've had a glass of wine. It's really weird how it works, but it does! I love using it, especially during PMS. No more edginess. It also helps me with cramps! This is the oil that I use (and LOVE) the most. I love it so much that I use two drops under my tongue each day. This is one of the gifts that the wise men brought to Jesus, it's not some made-up newfound discovery. 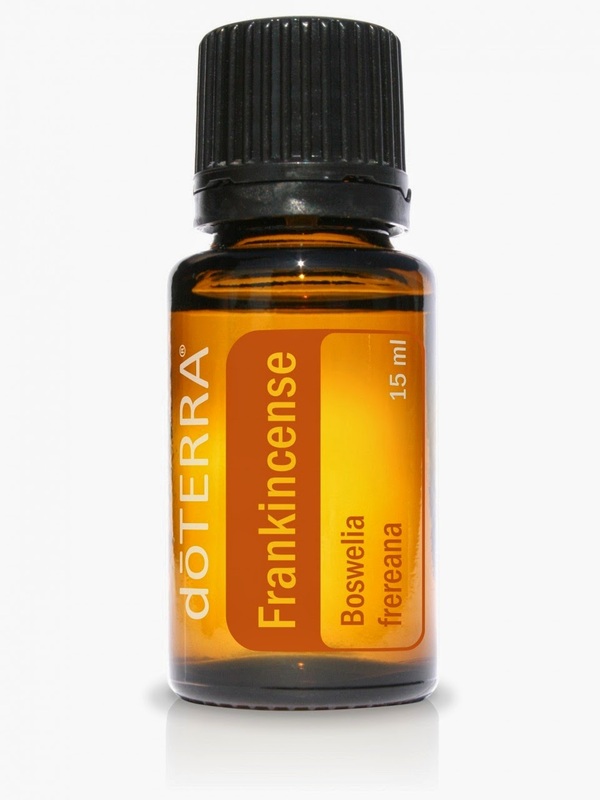 There are so many amazing stories about the healing properties in Frankincense!! It's been shown to prohibit growth of cancer cells, heal injuries and help with a whole host of chronic diseases. 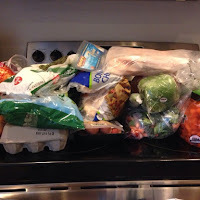 I love the way it makes me feel, healthy and refreshed, each day! I'm not kidding, I'm like a new person with these oils. 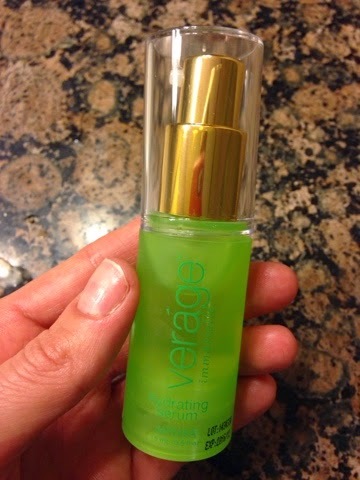 I didn't list it yet, because I haven't used it long enough, but I'm trying out the Verage Imortelle Hydrating Serum, and so far, so good! I took a picture of my face today and will take it again in 30 days to see if there is a noticeable difference. Good bye crows feet, dark circles and wrinkles!! I know that's only a small portion of the zillions of pieces of information out there. If you want me to answer something specific for you, please let me know. I'm happy to meet up and chat with you, to share more specifics! And if you live far away, we can either chat on the phone or over email. I think everyone ought to give them a try! I have complete confidence in these products! Please don't wait on this! Contact me, soon! I'm totally not a medicine person either but will break down once every several months and take something if I'm really in pain (usually a headache). I have so many friends that are into oils, but I haven't taken the plunge! Glad they are working out so well for you and your family! How cute is she!? What's in "Christmas Feet"?? White Fir? 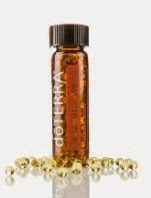 Love me some doTERRA! I love to put it in my diffuser before bed! 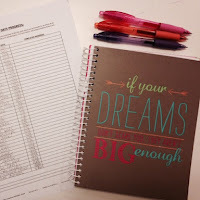 Great post and Happy Weekend!! I haven't used oils before! I don't really know much about them, admittedly. But glad they're working for you! And shoot, whatever it takes to not get sick during this season!!! 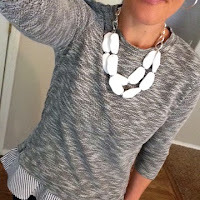 Thanks for linking up with us at H54F! The serum sounds interesting. I have several friends who are really getting into oils here lately.